According to the Rakuten Affiliate Network, spending on affiliate marketing campaigns is expected to increase 10.1 percent per year to $6.8 billion by 2020 as over 80 percent of advertisers look for people to become affiliates and extend the reach of their brands.1 This type of growth is giving many people the opportunity to get into the business of affiliate marketing, a type of work that pays you to promote products you love on your own time. Publishers connect with 83 percent of merchants via affiliate networks, and many report making up to 20 percent of their annual revenue from these relationships.2 What does this mean for you? When done right, it’s possible to use affiliate marketing as a passive income stream to earn extra money or turn it into a full-time business. Affiliate marketing is a partnership between the creator of a product or service, usually referred to as a merchant, and third parties interested in acting as promoters. Called affiliates or publishers, these third parties may be individuals or companies and have their own unique niches. Affiliate relationships allow merchants to reach new audiences and give publishers the chance to make extra money without the large upfront investments required for other types of businesses. To be a successful publisher, you have to think of yourself as a marketer for each of the products or brands you choose to promote. Research into the problems faced by target audiences and the channels through which they search for solutions is a critical part of affiliate marketing. Just as you would need to if you were pitching your own products, you must understand to whom your promotions should be addressed and where to share your affiliate links to draw leads and drive conversions. The concept of promoting products you like and earning commissions from merchants is fairly straightforward, but you can’t just put up a few banners or sprinkle a handful of links into your blog posts and expect the money to come pouring in. Affiliate marketing relies on a strategy like any other business endeavor. Successful affiliate relationships require a good amount of work on the part of the publisher to establish and maintain a presence as an online influencer in his or her chosen niche. If you decide to get into affiliate marketing, you need a platform like a blog or YouTube channel to post content relevant to your audience and the audiences of the brands you wish to promote. It takes time to build trust and start drawing significant traffic, but once you have a group of loyal followers, you can start leveraging this network for affiliate income. If you already have a platform with followers, the easiest way to get started with affiliate marketing is to join an affiliate network. Networks bring hundreds or even thousands of affiliate programs together in one place, making it easy to find products and brands to promote to your audience. 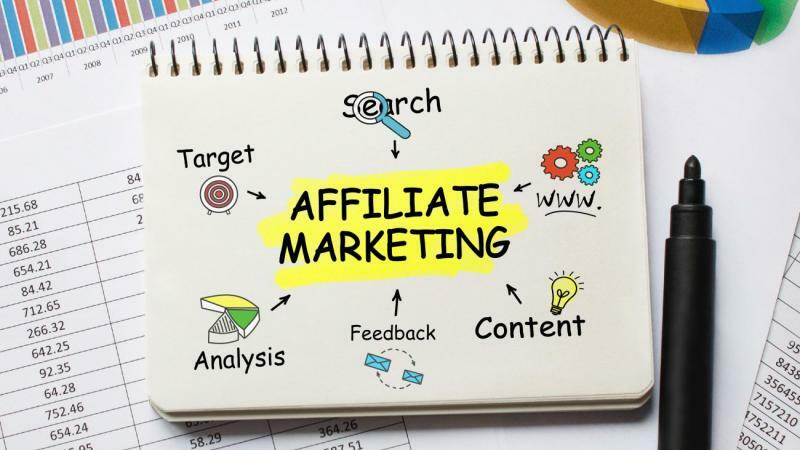 Rather than spending hours hunting down individual merchants and applying for programs separately, you can get an account with an affiliate network and start marketing right away. These networks are the fourth part of Neil Patel’s affiliate marketing equation. Affiliate networks act as agents to connect merchants with publishers and provide a wider, more diverse audience to which products and services can be pitched. Merchants like affiliate networks because they offer the potential to reach millions of customers. For publishers, the perks can come in the form of helpful marketing tools, big commissions, and frequent payouts. Using a network gives you access to banners, links, and other promotions to share with your audience. Research the best products for your niche and try to stick to those you’ve used yourself or with which you’re very familiar, so you can provide authentic content to accompany your marketing messages. There are two ways to make money by incorporating affiliate links into your content. Pay-per-click (PPC) provides a commission for each referral to a merchant’s site whether or not a purchase is made. Pay-per-performance (PPP) requires either a lead to be captured or a sale to be made before you receive compensation. The PPP sales model is the most popular type of affiliate marketing. When interested consumers clicks on one of your affiliate links, a cookie associated with your unique affiliate account keeps track of their purchasing behavior. If they buy from the brand with which you’re affiliated before the cookie expires, you get a commission. Payment is delivered either by the merchant or through an affiliate network for all commissions collected through your account during a given period. Consider scaling up with pay-per-click and social media advertising to reach more people. Whatever methods you choose, aim to stay connected and involved rather than just putting out the marketing messages you think have the potential to make the most money. Turning affiliate marketing into a consistent income stream takes work. It isn’t the easiest way to bring in money, but if you’re dedicated to building your audience and willing to learn the best ways to use the tools provided by affiliate networks, you can bring in a decent amount of cash. Many people have already established high-paying affiliate marketing businesses and share their best tips on their blogs.6 Study their strategies and best practices, read their posts, and follow them on social media for inspiration. Insights from experts provide guidance so you can get off on the right foot and avoid months or even years of unfruitful efforts.